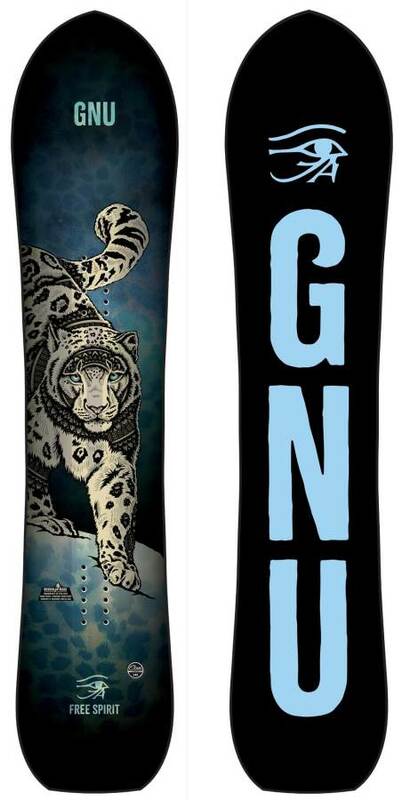 The Gnu Free Spirit is a pretty wide, aggressive, almost full camber, super set back, surfy freeride board for women. It’s all about set back directional riding and riding something a lot wider than you would normally ride. It’s definitely a different take out there than most women’s freeride boards out there that a lot might appreciate. Not much has changed between the 2018-2019 Gnu Free Spirit models except the 2019 model has one more size. 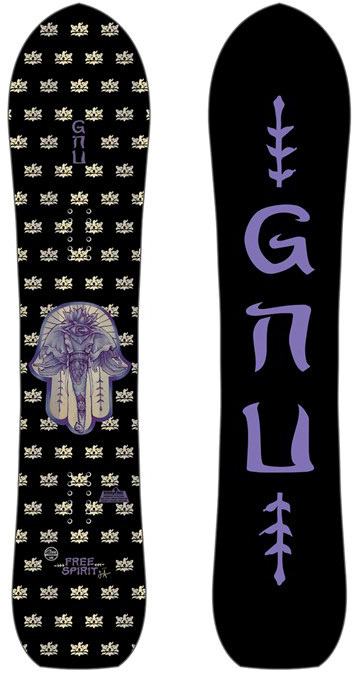 We try to get as many images of the Gnu Free Spirit, but forgive us if they're not all there.